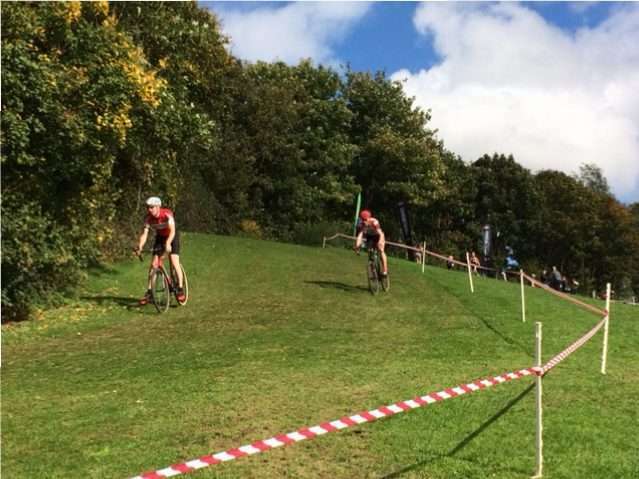 The cyclocross season is now in full swing with the first two rounds of the Central league done and dusted. Both rounds had GS Henley riders battling it out against a huge turnout from regional clubs making the racing great fun and very close. 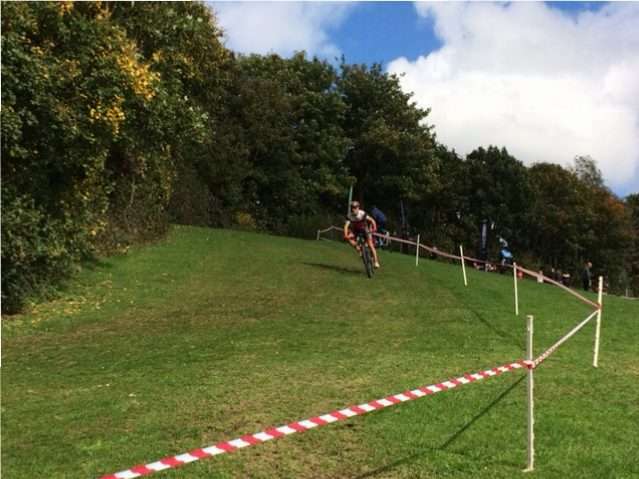 The Central league has set an incredibly high standard of organisation with easy online entry, real time online results and great facilities on the day making it so easy and a real pleasure to race cross in the region. 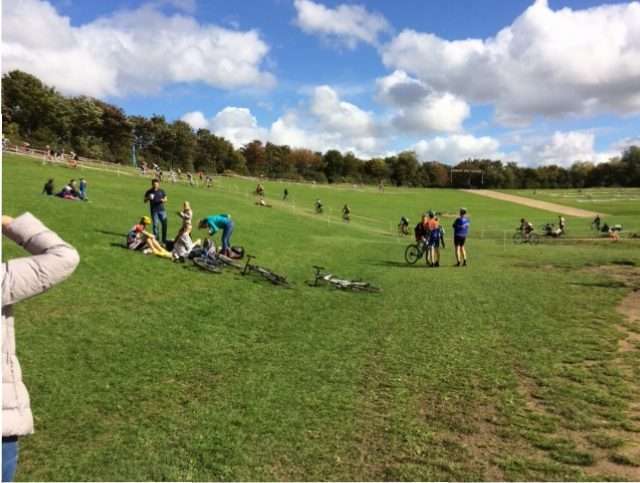 Round 1 at Stanborough Park near Hatfield presented a technically straight forward, but brutal course in the beautiful sunshine with little space in the lap for recovery. 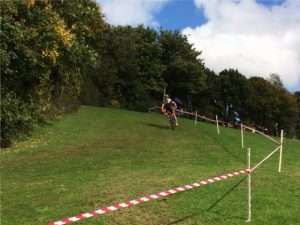 Nick Beech led the way in vets with a strong result. In the same race Chris Miles suffered on the tough course, but made good ground from the back of the grid. Richard Moore had a great start, but succumbed to a mechanical dropping him down the standings from a good ride. Later in the day Paul Elcock rode to fantastic top 10 in the Seniors showing great form. 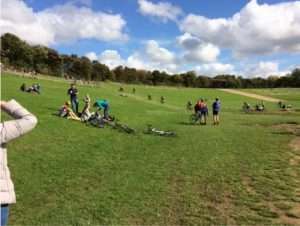 It was a great day in the sunshine and reminded everyone what a fun day out cross racing can be. Round 2 saw a return to the Milton Keynes Bowl. On another warm day the organisers had gone above and beyond to try to fit in as much vertical ascent into the lap with continuous climbs of the bowl sides to catch out riders who started the race too hard. Rain during the week had left a couple of slippy descents, but nothing mucky enough for any comedy moments which was a shame for the spectators. The club was again out in numbers in the vets with Nick Beech, Adam Gardner and Chris Miles on the grid. All 3 had solid rides in a strong field of 90 riders. Round 3 is next Sunday, easy to enter and is bound to be another fun day out on the bike mucking about in the sunshine or in the mud. It’s the real essence of the joy and freedom of cycling so give it a try.